Pickle is only ever interested in what's inside the packets but something I love about these snacks (and the brand in general) is their packaging and their attention to detail I love that these snacks come in multi pack bags as they are so easy to pop in the changing bag if we are off out and the packaging is really recognisable and easy to understand. 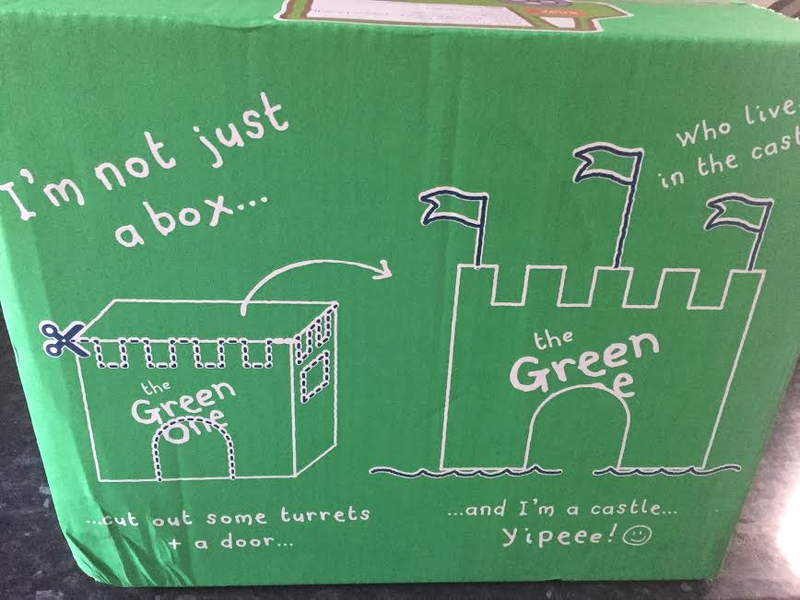 They even thought about the box that they sent to snacks to us in. 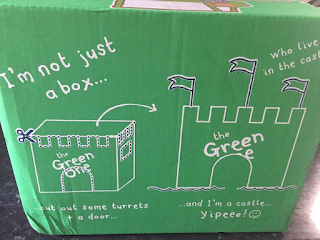 I mean what other company has a delivery box that you can make into a castle?!? 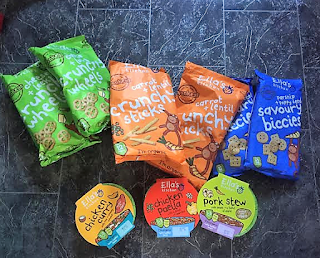 Pickle was pretty happy with the huge selection of snacks and I happy to say that the lovely people at Ella's kitchen have given us a multi pack of each of their snacks shown above for one of my lovely readers to win! All you need to do is click the link below and follow the instructions to enter. 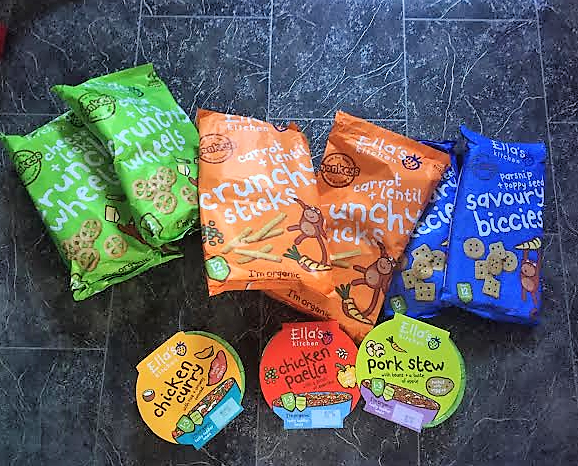 Good luck and make sure you look out for the range of Ella's Kitchen snacks when doing your next food shop or check out their website here! Carrot and lentil sounds good. 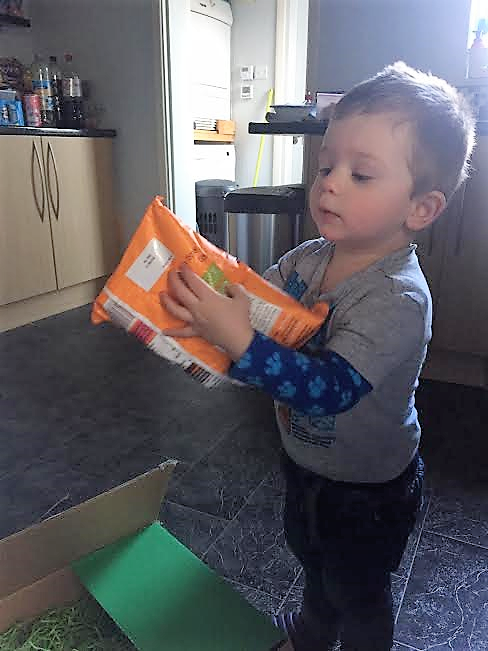 We like that flavour as a soup too! The leek and cheese crunchy wheels sound good!